We’ve all heard it – the Peter Gunn theme. It’s award winning and etched in our minds as the soundtrack to a forgotten show in an era of forgotten television. Henri Mancini – who composed it – was at the top of his game throughout the late 1950s and 1960s. His best known work was probably the Pink Panther theme which has accompanied the movies of the same name as well as countless spin-offs and cartoons. 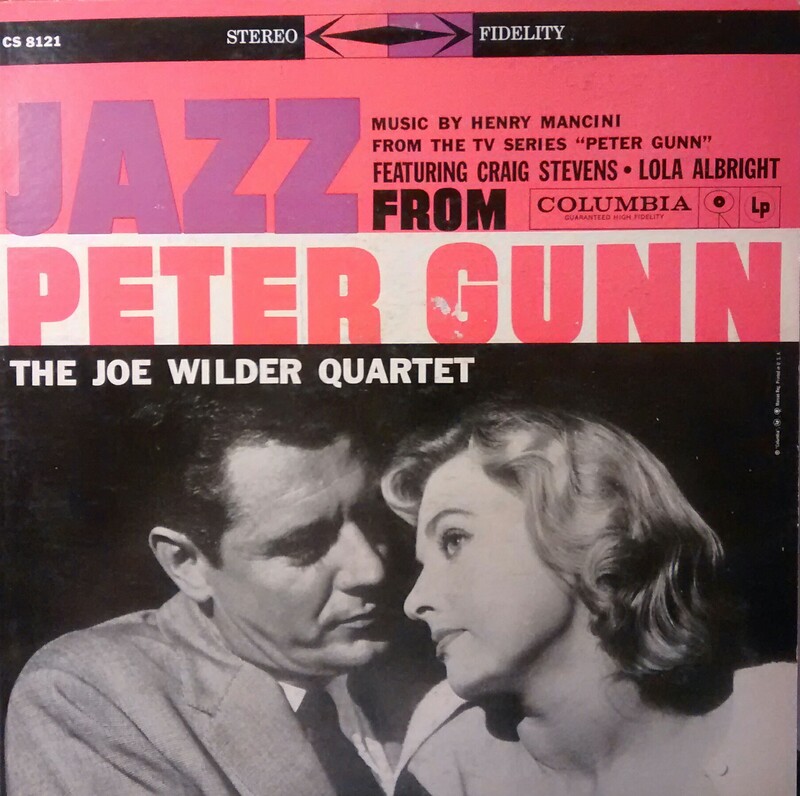 I love the old soundtrack, but equally interesting (if not more so) is a record I came across at a thrift sale not long ago: Jazz From Peter Gunn, as performed by the Joe Wilder Quartet. Mancini, with several years of dance-band arranging experience as well as many major film scores to his credit, has composed dozens of sketches, fragments and full-blown short compositions for the Peter Gunn shows. Ten of the best of the musical miniatures are included on this record. The original sketches for the show had little room for solos since they were meant to be heard only in the background of certain episodes of the famous TV show. But for this recording, these “musical miniatures” are rearranged into complete jazz tunes leaving plenty of room for Joe Wilder and his crew to dig in. I highly recommend this little gem of late 1950s swinging spy music if you come across it. More about this release at Discogs.